Registration: Registration is closed. Sign up for our email newsletter for information on future sessions. Jeremy Stepien first spotted these natural bentwood baskets at Claude Monet's garden in Giverny, and now you can weave one for your own backyard using willow and other trees and shrubs from Lynden's grounds. 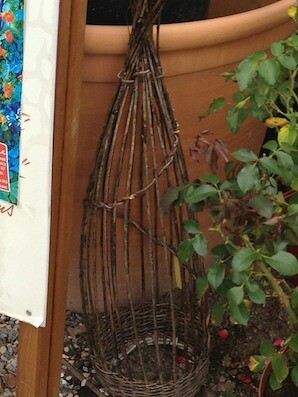 These wicker obelisks add height to your garden, and can be used to train sweet peas, French beans or other climbing plants. No experience required.